Mahindra has officially announced the launch of 2018 XUV500. In a teaser shared through digital platforms, a webcast is planned to unveil the facelift on 18th of April at 11:45 AM. 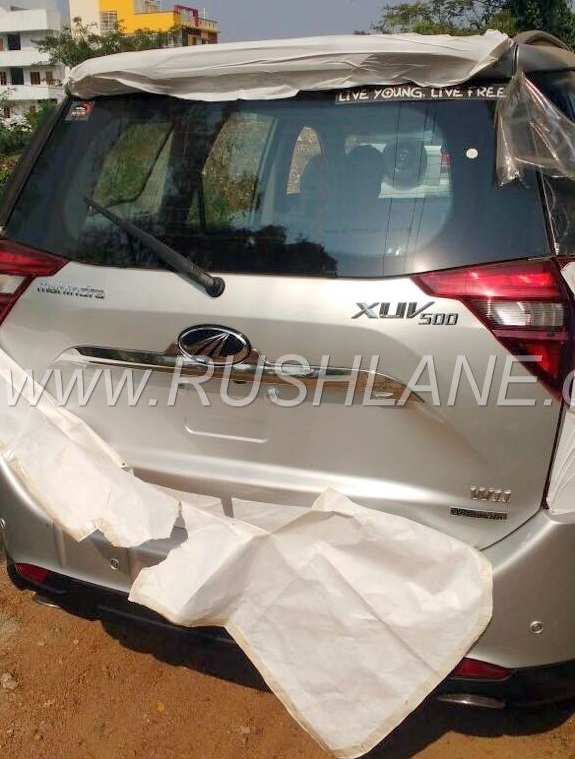 This was very much expected as extremely clear spy pics of the facelifted XUV500 were doing rounds on the web. 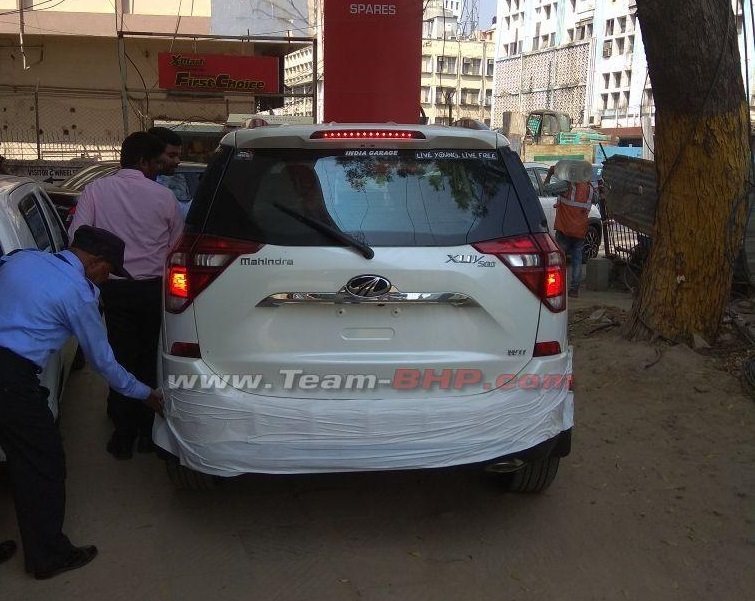 Few days back we had shared information & spy pics highlighting the changes in the upcoming 2018 XUV500. 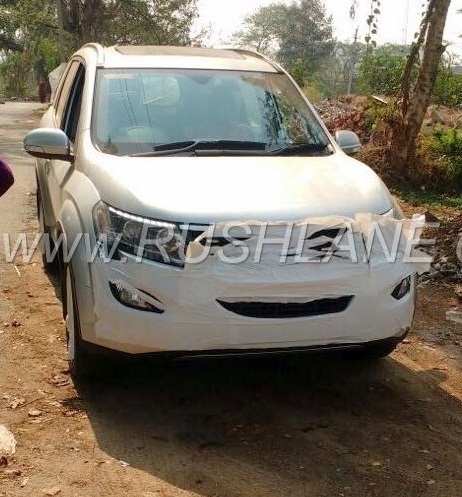 According to a story at Rushlane, the car will be offered in 5 diesel and 1 petrol variant. Further, the new top spec W11 variant will also come with an upgraded 2.2L diesel motor producing 155 HP at 3,750rpm and 360 Nm of torque at 1,750-2,800rpm. ARAI tested fuel efficiency figure for this engine is reported to be 15.4 Km/L. All other variants will continue with the existing 140 Hp version. The petrol engine is expected to be the newly introduced 2.2L producing 140Hp. Additionally, the crossover will also be offered with an automatic gearbox on 4 of its variants and an AWD on the top variant. 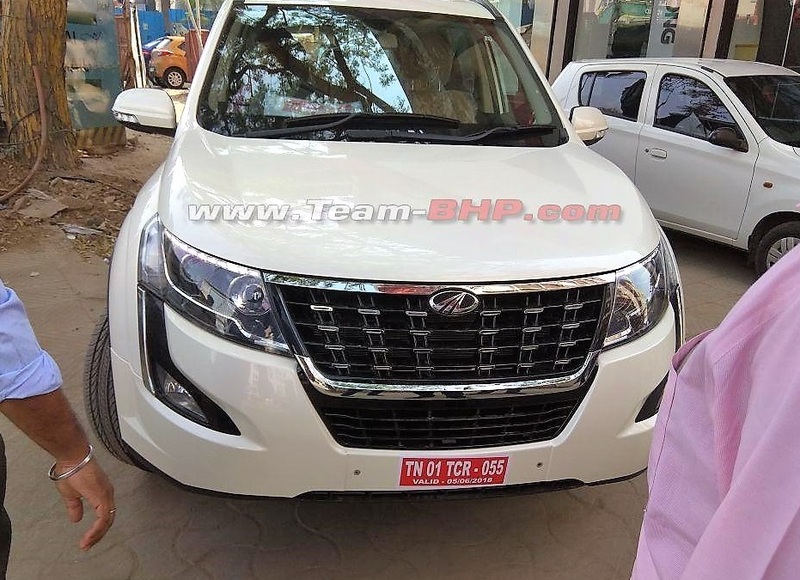 The 2018 XUV500 will feature an updated infotainment system and a smart watch app, under Mahindra’s blue sense banner, will also be launched which will work with this infotainment system through Bluetooth. The system will have a “Technopak” on offer which will help the users to connect with different apps like Gaana.com, bookmyshow etc. In addition to some of the existing color shades, the XUV500 facelift will be offered with two new ones namely Mystic Cooper and Crimson Red. First up, the dash is covered with soft touch materials with white stitching – adds sportiness. Next, the center console now has a piano black finish with silver garnish on both sides. The start stop button is also surrounded by the same silver garnish. The silver inserts can also be spotted on the gear knob, hand brake, center arm rest and steering wheel. 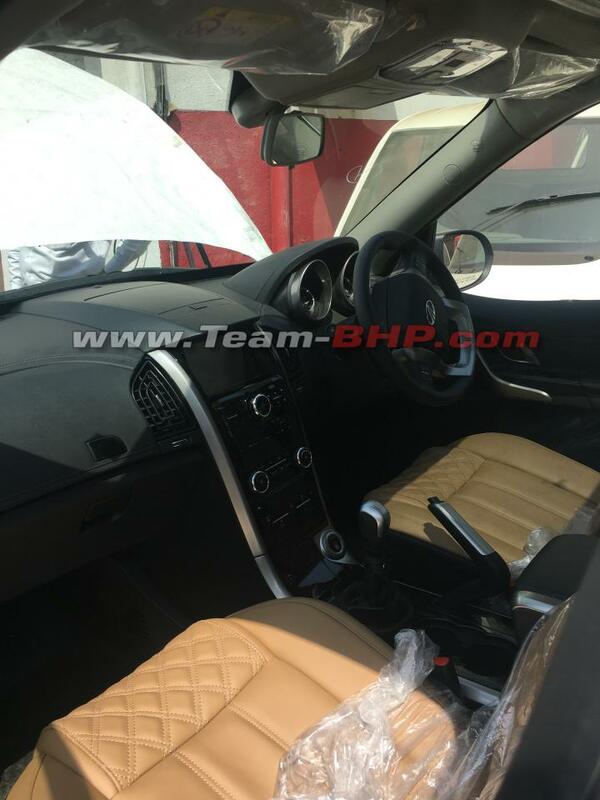 Finally, the seats are now wrapped in tan colored leather with stitching on the front portion in a zigzag pattern. All these changes make the whole cabin look upmarket and modern. The things which remain the same as the current model are the accelerator, brake and clutch pedals in aluminium finish and the instrument console. On the front, the updated car will sport a completely redesigned grill. It will have a chrome surround and short horizontal chrome bits in the middle, giving it a premium look. The headlights have a new design and a blacked out look. 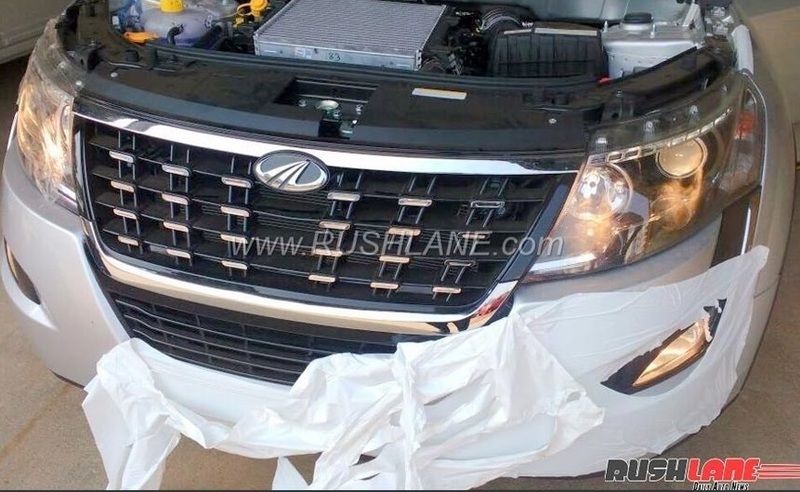 They will continue to have projector units and LED DRL’s. The foglamp units are also tweaked and are now surrounded in black instead of chrome as on the outgoing model. On the rear, the biggest change are the newly designed triangular tail lamp clusters which are placed horizontally below the wing screen. The tail gate is also redesigned and get a slimmer but wider chrome strip just above the number plate enclosure. Also Read: JEEP COMPASS REVIEW: Top-end Diesel 4×4 Tested!